Creative has this week unveiled new additions to its ever-growing range of gaming headphones with the launch of the Creative Tournament Edition SoundBlasterX H7 and H5. 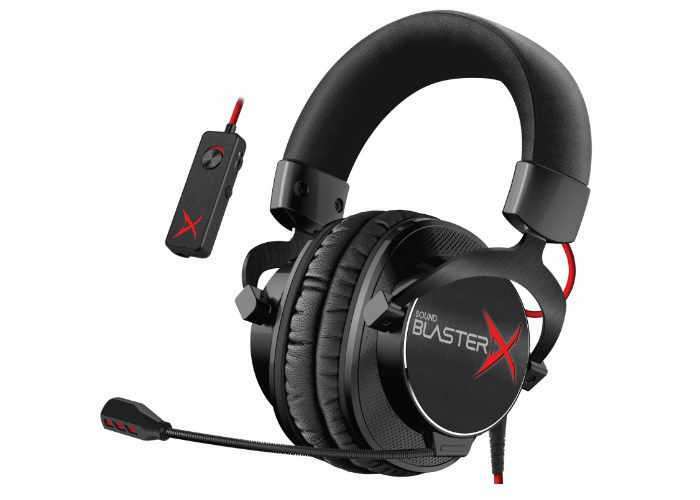 The headphones build on the previously launched standard SoundBlasterX H5 and SoundBlasterX H7 gaming headsets, and the tournament additions are now equipped with larger 50 mm drivers and improved ergonomic cushioning designed for extended gaming sessions. Both Creative headsets are stereo but the H7Version is equipped with a USB DAC that puts out virtual 7.1-channel audio, with support for 24-bit/96 kHz audio formats. The headphones are equipped with retractable microphones that range between 100 Hz to 15 kHz, with 2.2Ω impedance, while the larger 50 mm drivers range between 20 Hz to 22 kHz, with 32Ω impedance, and 118 dB/mW sound-pressure sensitivity. Unfortunately no information on pricing or worldwide availability has been released as yet by Creative, but as soon as information comes to light we will keep you updated as always.